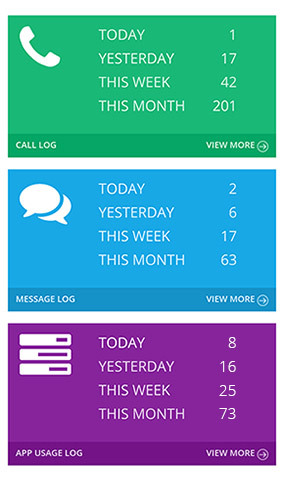 Remotely access call logs, full-text messages, live location & app usage. 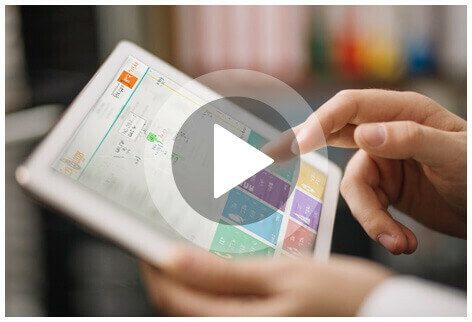 Get alerts on falls, inactivity, geofence entry/exit & network change. The Easy Logger free is an effective SMS tracker and call logger. The Easy Logger Pro is a comprehensive cell phone tracker and monitoring tool that tracks location, calls, texts, apps and more. 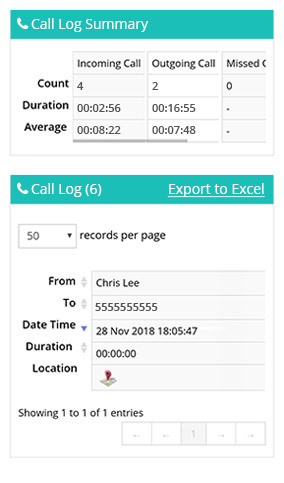 Review phone call logs with call duration, date, phone number, contact name and location where the call was made or received. 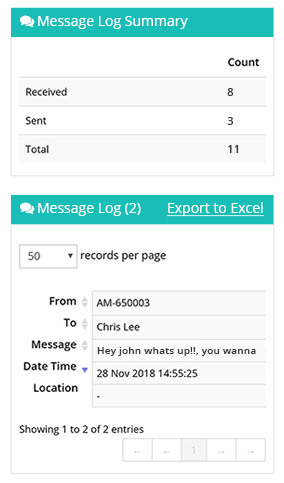 Monitor text messaging, inbound and outbound message logs including all deleted messages. Easy SMS tracker. Live location tracking and 90 days of historical location reporting, available via the online secure phone monitoring console. 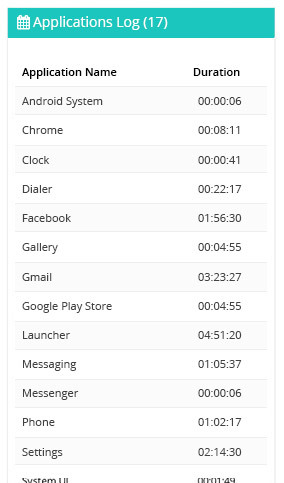 Review usage stats of every single app that is used on the phone. This includes games, messaging apps, and business applications. 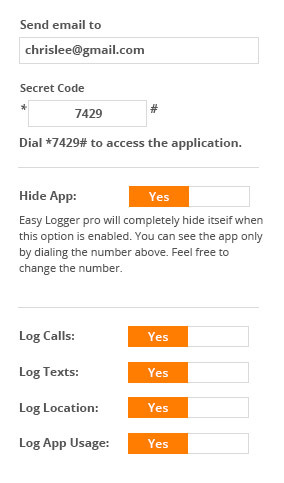 Easy Logger Pro is completely invisible on the target phone. Create a secure passcode so only you can access the app. Manage multiple devices through a single account. Change application settings and review report remotely. Review reports sent over email or access reports remotely via a secure online secure phone monitoring console. If the device falls or the user falls with the device the app sends out an email alert, for you to check on the user’s wellbeing. If the phone remains unused for a long period of time the app will send you an alert, for you to check on the user’s wellbeing. Create a Geo-fence on the map, to be alerted every time the device enters or exits the fenced area. 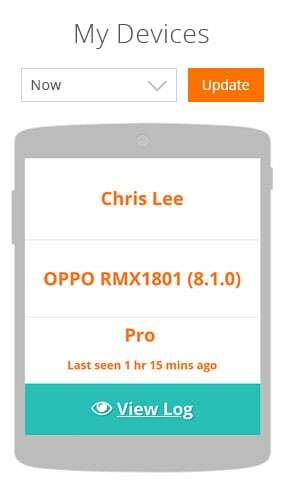 Receive email alerts with full app details when an app is installed or uninstalled from the device. The Easy logger is built to be an easy cell phone tracker and monitor for Android smartphones like Samsung, Sony, Motorola, LG, Huawei, OnePlus, Google, Asus and more. If you need to track your significant other, your child’s location, monitor your teen’s behavior or simply keep informed about calls/texts made on a company phone the Easy logger is for you. 1 million+ users including major corporations use the Easy logger for monitoring, geo-tracking and to check phone misuse. Keep track of your children’s lives to help protect them from unwanted influences, follow the whereabouts of your loved ones to learn more about their life choices or monitor employees to keep track of productivity and avoid wasted time. From a free SMS tracker to a powerful phone tracker, use the Easy logger in any form as needed. 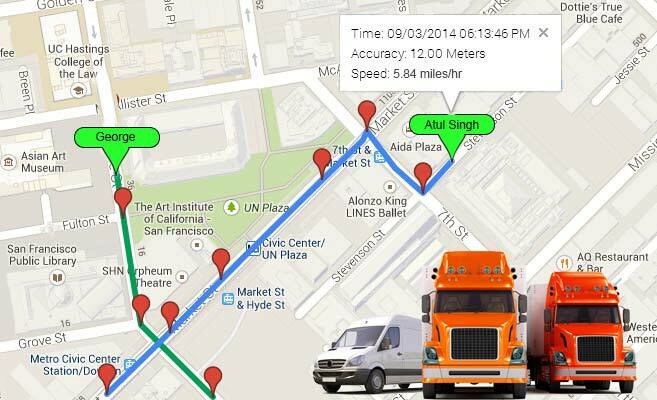 This is the most versatile phone tracker in the market today. Phone misuse costs millions of dollars each year. 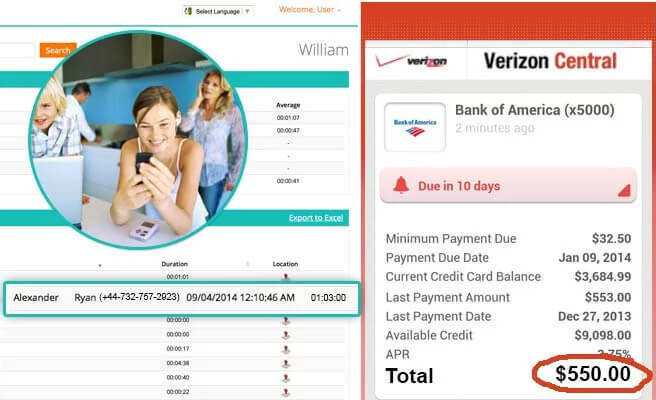 Keep a tab on your costs by reviewing long calls, international calls, texts and apps that use heavy bandwidth. Keeping a tab on your kids, spouse or significant other can often be enlightening. 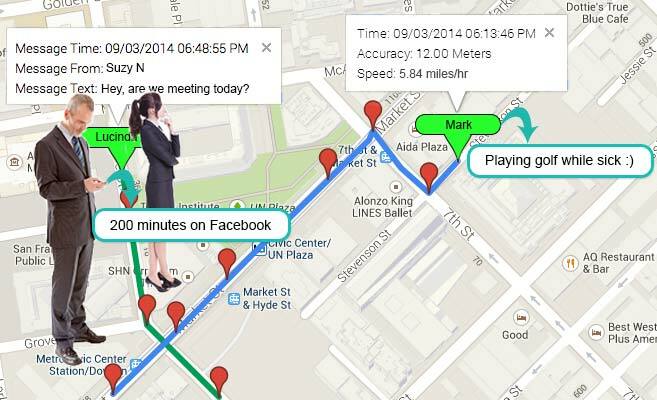 This undetectable phone tracker app lets you keep up with the lives of the ones you love. At 13 cents per day per phone with a 30-day money back guarantee, the cost for this app is insignificant. This is less than what a cup of coffee costs for a complete monitoring solution for a month. Easy, clean, without unnecessary options. I have tried many apps to track my kids, some go overboard and kill the phone battery and some just do not work, easy logger has been working for months without fail, I use the free version as I really do not need location tracking. Excellent so far Its been a day. Only but i love the app..sent me detailed log of the phone calls, durations and contacts names for both calls & sms …even link address to pictures sent to & from through texts . Excellent app would give 5 stars if app ran in stealth mode. 00:0:40 2014-10-17 Keep track of your children’s life to help protect them from unwanted influences, follow the whereabouts of your loved ones to learn more about their life choices or monitor employees to keep track of productivity and avoid wasted time. 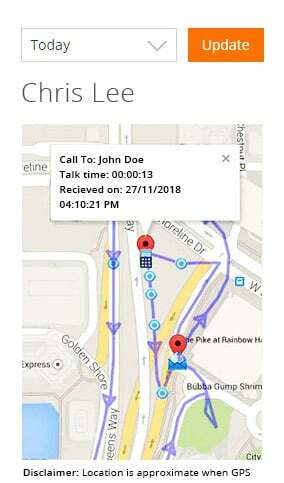 Easy logger is the easiest cell phone tracking software on the market, setup in seconds and monitor location, texts, call logs and application usage. Converts a phone into a 24/7 tracking device.